Today Apple announced the new Apple Watch Series 4. Apple Watch Series 4 features all-new larger display, new Series 4 chip, ECG app, Swimproof, Blutooth5.0 and many more new features. Apple releases new iOS, watchOS, macOS Mojave, tvOS and watchOS softwares. 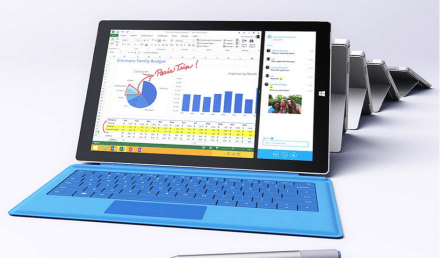 Microsoft Surface Pro 3: Can It Replace Your Laptops?